Slide to seal any bag in a single, simple motion. 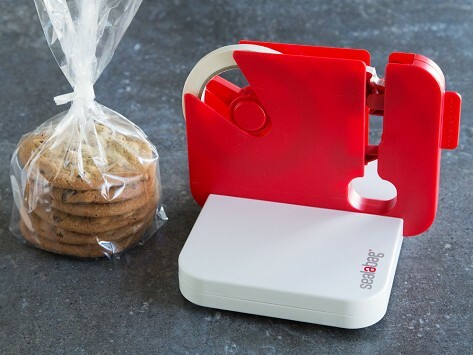 Prop this bag sealer on a counter, leave it in a drawer, or mount it on a door. Twist the bag top and swipe to get a bakery-type seal. Sealabag will lock and contain any sized bag—from little baggies to heavier duty trash bags. Haven't installed it. My wife likes it.